at 117 S. West St.
Our services last about 90 minutes and are structured around a liturgy (or a pattern of elements) that helps us remember and act out the Gospel each week. 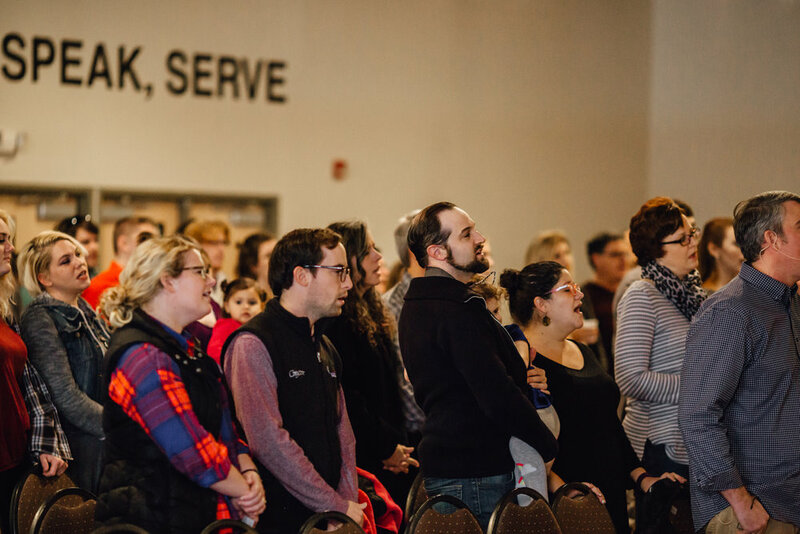 These elements include a balance of song, prayer (both extemporaneous and call and response), Word (scripture and preaching) and supper (communion). The services are identical and communion is served weekly at each. Please feel free to wear what's most comfortable for you! Nursery is available for infants through 2 year olds throughout both services beginning 15 minutes prior to the service start time. 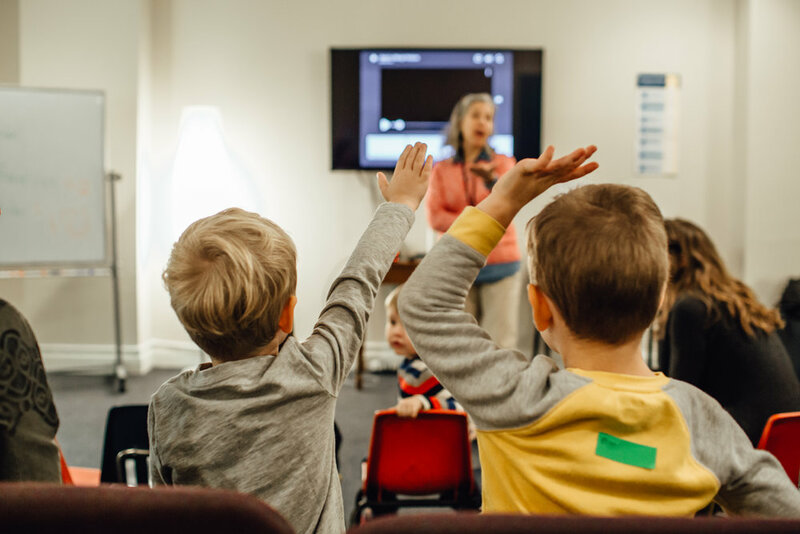 Children in preschool through 5th grade are dismissed to choir in the multi-purpose room before the sermon, and can be picked up after the service in their classrooms. To learn more, contact our Director of Children’s Ministry, Stephanie Massey. Christ the King is located at 117 S. West Street St. Raleigh, NC 27601. The entrance to our space is on West Street across from Citrix. Parking is available on Sundays in the Citrix parking deck (up to level 3) across the street from our building. Please move your car by 2pm out of the deck. Feel free to park in any available street parking around the building as well.